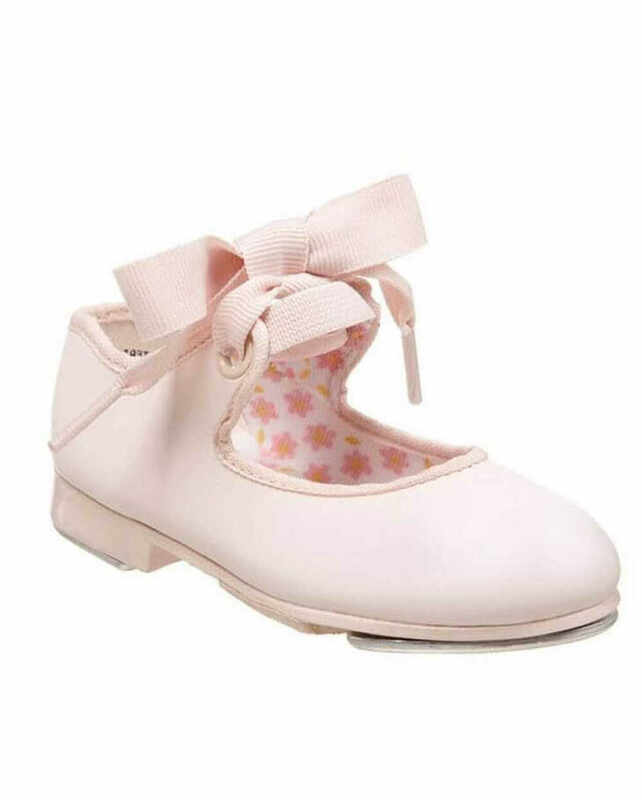 Capezio 625 Junior Tyette Low Heel Tap Shoes. High quality junior tap shoes from Capezio. With a ribbon lace up front and a high quality synthetic upper. A great beginners tap shoe. Sizes: Childs UK Size 7 to UK Size 2, including half sizes. Medium Fit Only.